Nver less than 20 degrees, relax ! With 1 large bedroom, 1 livingroom with kitchen, 1 wc-shower and terrasse on 3 side ! 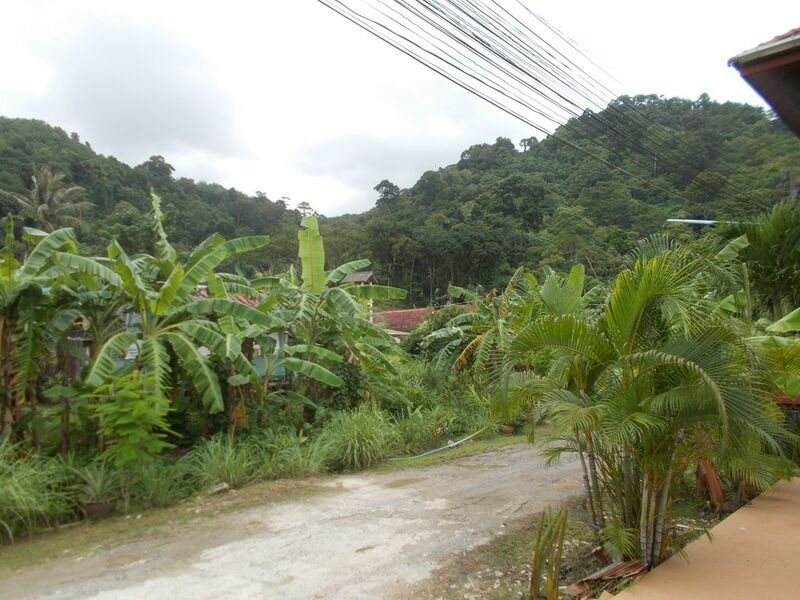 Close to very good restaurants ( 1,3 km ) , shops and banks to 1,5 km .Air-condition and fan . Free Wi-fi and TV cable . Good neighbourhood in a secure place ! Swiss simple owner with good experiences about Thailand . I give nice ideas to travel around Phuket and Thailand . Very good motorbike for rent to 4-6 euros/day ! I am a simple swiss man who like sports and travel a lot abd experienced about Thailand since 14 years old ! Always ready to give good informations and ideas about this country ! For peoples who strongly be quiet and sleep longtime as that place is very secure and calm.You will only "heard"butterfly in the morning ! 2 km from the beach and no mosquito ! All services and good restaurant at 1,5 km ! Relaxing near Ocean and not busy like the Patong main city at 15 minutes with bike ! Many of the best beaches all around the island ! Many delicious ! Wc and hot shower ! A very quiet and charming place ! House is situates at 1,5 km from main road , it will be nice to rent a bike .But all the shops are on the main road like 5 banks , supermarket , local market and many more ! Swiss owner was good , he knows the country well and can give us a lot of good informations .